We all know that Jason Hammel has struggled this season on the mound despite a 6-2 record. For much of the first two months of the season, the tall righty has been unable to go deep into games. More often than not, the bullpen, along with the offense has to bail him out. On Monday, the Hammel that we as fans saw for much of the first half in 2012 re-emerged in Washington, D.C.. 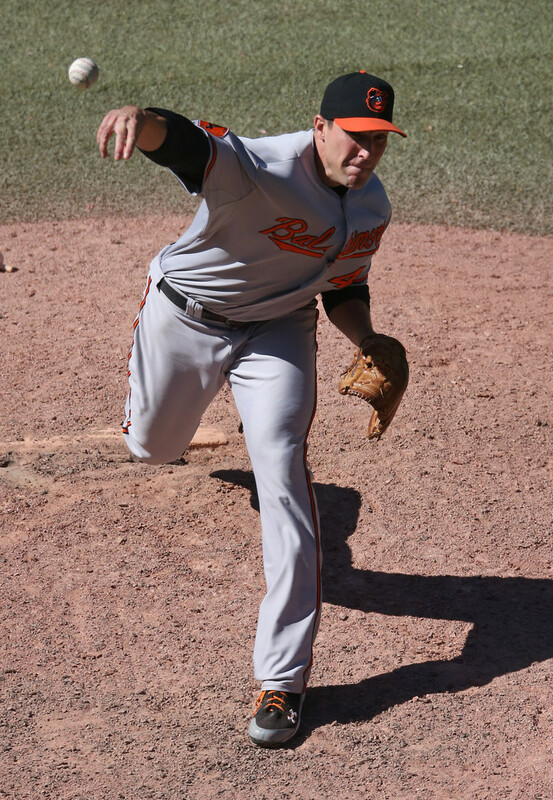 He went eight strong innings, only allowed two runs and struck out in Baltimore’s 6-2 win over Washington. Monday's game is the first in a two-game set in the Nation's Capital. The two teams play in Baltimore on Wednesday and Thursday. The Washington Nationals have been injury riddled and were without young phenom Bryce Harper in the starting lineup. The Orioles took advantage of it. The tall righty was aggressive against the Nationals and just seemed to be a very complete pitcher yesterday. He mixed up his pitches and kept the opposing team at bay all afternoon. Of course, the offense came through for him with a three-run fourth inning and they kept going from there. Manny Machado had three hits; Nick Markakis and Yamaico Navarro drove in two runs and had two hits. Adam Jones and Steve Pearce also drove in runs. Baltimore was able to pound 15 hits, and got Washington starting pitcher Gio Gonzalez out the game after 5 2/3 innings. Again, the story of the game was pretty much Hammel. The Orioles, considering how much their bullpen has been relied upon on all season, need a start like this from one of their pitchers. It could be the beginning of something, or just a very good start during a very long season. Baltimore’s main problem despite their 28-23 record as of this morning has been their starting rotation. In order to still stay in the hunt for the division – or a playoff spot – they’ll need more outings like this from Hammel and the rest of the staff. If you want to look up the odds of the Orioles winning tonight, learn about the Bookmaker bonus here. Finally, I was listening to the radio driving into work and there was a debate on whether Jim Johnson should be the closer for Baltimore.